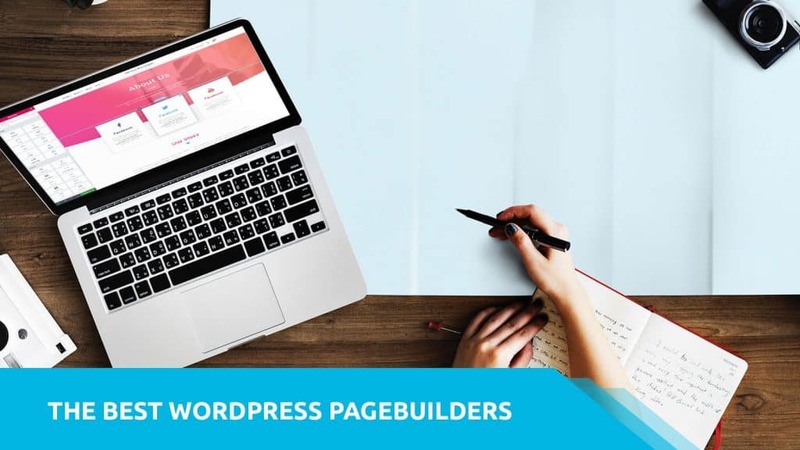 Page Builders are an amazing way to create professional content without the need to know code or spending hours trying a to configure a page with code. They are helping many people make quality content faster and with better designs. Below is a list of the Page Builders we recommend and some pros and cons to help you choose the one that is best fit for you and your site. This is our top choice for a Page Builder because it’s our favorite for a flushed out and stable front-end page builder. Front-end is an important distinction because unlike some page builders, with Elementor you get to edit while viewing what your users will see so there is no going back and forth from an edit screen to a live site screen. This can make creating/editing content much faster and helps you make better decisions about your content. Elementor is free and comes loaded with great features. While they do offer a pro extension, the base plugin stands alone and pro is not required. Many will find the base plugin does all they need and more, but for those that want it, the pro extensions is a great and valuable upgrade. Elementor has mobile specific editing controls for many things like font size, padding, etc. Elementor has tons of pre-made content that is easy to add and can greatly improve your design time. Plus other designers have created tons of free designs you can import as well. Elementor has a good user base and is a stable plugin with ever increasing features from the developers. There are a lot of great free extensions built for Elementor (check out ours: Kadence WooCommerce Elementor). While most people love front-end editing, there are some (we’ve received emails) that don’t because they find it overwhelming and confusing. They find it hard to know all that they have added to a page and how to navigate around each element. And if you are used to editing in the backend, any change to the way you know is hard. While I recommend pushing past that initial discomfort (if you have any) and trying to learn the platform, you may just want a simpler interface to edit in where you are opening each widget to edit that particular section. If that is the case, I suggest using Page Builder by SiteOrigin. If you use tabs or accordions and need to place more than text inside, Elementor has yet to create a tab or accordion element that can easily embed other tab elements. Currently, you have to build a different template then add a shortcode into the tab. We feel like this could one day become our top choice for a Page Builder because of its lightning fast speed, intuitive interface, and cool features that you don’t find in other builders. Brizy has a cool app feel with a clutter-free interface and front-end editing. It’s worth trying out just to see what it can do. Right now though, it’s limited by its newness. So while it can do a lot of cool things, it’s missing some basic things. For example, tablet-specific editing controls for fonts, padding, etc. Or an ability to add a gallery (currently you would have to manually add in a shortcode, although you can add images individually in a grid). Brizy also doesn’t have the proven stability to jump in full-on, but it’s getting there and is backed by good developers. Once they get the currently reported bugs ironed out, release pro, and build in the API for other developers to extend it, Brizy is going to be a top contender. Brizy is free. The developers are planning to offer a pro extension at some point. Similar to Elementor though, the base plugin will stand alone and pro will not be required. Brizy has global linked colors and fonts. There are 4000 built-in icons. Brizy has really cool image controls (try it out). The interface is fast and has a great undo button. It’s newer and there are unknowns about compatibility, stability and future development. It is limited in what elements are available and it’s going to be a while before new elements will be added as the developers still have to build out the API. You just may not like the interface. There is not going to be one that everyone loves and a complaint against Brizy is that many controls require you to click the element, then one of the buttons in the bar that appears above the elements before you get to editing. Pro isn’t available yet, so you can’t know if it will cover any areas of need that you know Elementor Pro has for example. This Page builder is not as glamorous as others, mostly because it’s only got some partial front-end editing options and the interface is slower to work in. It is still a powerful and very stable Page Builder option. If you learn how to use it well, the slower interface is less of an issue. Plus there are tons of free extensions for it. And it’s got a huge user base along with great developers so you rarely could find compatibility issues. The developers have a good plan to extend Gutenberg which I think will keep it relevant for many more years even though its development of new features has slowed in the last couple years. Page Builder by SiteOrigin is free. There is a premium extension that gives you even more widgets to work with. However, this plugin is very strong as a stand-alone without the premium extension. It is planned for the builder to improve Gutenberg. Stable with years of solid development behind it. Widely popular with tons of free add-on widgets. Not as user-friendly as front-end builders. It’s a slower editing experience, with a lot of opening lightbox modals to edit content. Divi Builder and Beaver Builder are two good Page Builders. I don’t not recommend them, I just don’t recommend them above Elementor. I personally prefer Elementor but you could make strong arguments for either of these plugins being at the top if you like their interface more or their pre-made content over Elementors pre-made content.